Production of the Dutch coachbuilder’s Model S Shooting Brake will no longer go ahead. While Tesla will soon be making its first foray into the lucrative pickup truck segment, the automaker hasn’t shown any desire to produce an electric wagon to rival the upcoming Porsche Taycan Sport Turismo. To fill the void, several coachbuilders have already converted the Model S into a shooting brake. Last year, Dutch company RemetzCar unveiled its stunning Tesla S Shooting Brake conversion, which was commissioned by Dutch car collector Floris de Raadt after he saw RemetzCar's Model S hearse conversion. Originally, the plan was to build a limited run of 20 examples, but these plans have been scrapped as the company is now defunct. 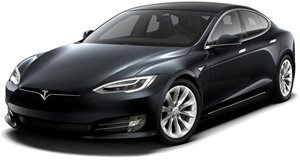 This means Raadt is the owner of the only Tesla Model S shooting brake in the world built by RemetzCar. That won't stop the Model S Shooting Brake from making an appearance at the 2019 Geneva Motor Show next month on March 5, so you'll be able to marvel at its sleek sloping design. The custom car will be showcased at the event by its London-based designer, Niels van Roij Design. A bespoke tailgate was developed featuring a rear spoiler with a hidden rear window wiper and brake light. Elsewhere, a custom chrome trim runs from the A-pillars along the roofline and around the panoramic roof, giving the Tesla shooting brake a premium look. It also stands out thanks to its striking green metallic paint finish with a twist of gold. It’s unclear how much it would have cost for the Dutch coachbuilder to convert the Tesla Model S into a shooting brake, but it couldn’t have been cheap. This isn’t the first time the electric sedan has been given the shooting brake treatment, however, as British customizer Qwest unveiled the world's first Tesla Model S Shooting Brake last year, which starts at $84,000 excluding the cost of the donor car.